Dimitri was previously a Principal Research Fellow, and prior to that Co-Head of Policy, at the Grantham Research Institute on Climate Change. In these roles he was responsible for producing, commissioning and communicating research on the economics of climate change policy. Previously, he headed the Stern Review Team at the Office of Climate Change, London, and was a senior economist on the Stern Review on the Economics of Climate Change, commissioned by the then Chancellor Gordon Brown. Before working on climate change, Dimitri was Head of Economic Forecasting at HM Treasury. Dimitri was a Senior Economic Advisor to Cisco from 2008-2013. 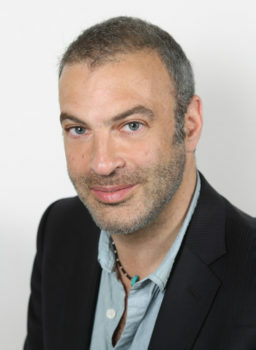 From 2007 to 2008, he was Head of the Stern Review Team. Prior to this, Dimitri was Senior Economist of the Stern Review Team at HM Treasury and Head of Economic Forecasting at HM Treasury. The design of policy regimes for tackling harmful climate change. Chapter 12, The Green Book: New Directions for Liberals in Government, Summer 2013. This paper was submitted in response to the UK Government’s industrial strategy green paper: ‘Building our industrial strategy‘. Is green the new black gold? The competitiveness impact of a UK carbon price: what do the data say? Thinking Aloud Tackling Climate Change Can the cities lead? Dimitri Zenghelis explains why economists should change their approach towards new technologies that combat climate change in this TEDxGoodenoughCollege event. Pétrole bon marché: une chance plutôt qu'un obstacle pour le climat? What do economic models tell us? Urban Nature, Vol. 1 No. 4. January 2014. This content is no longer available online. The Clean Revolution This content is no longer available online. Letter to the Chancellor in the Telegraph, November 2012 This content is no longer available online. Co-authored with Philipp Rode on green cities for the German Council on Foreign Relations (DGAP). Is It More Important to Save the Euro than the Environment? Presentation. Breakthrough Capitalism Forum. June 2012. 11 June, 2012, Geneva This content is no longer available online. What is the role of energy innovation in delivering a secure, affordable low carbon economy? EuroNews, Comments Visions. Discussion. May 2012. Online article no longer available. The Growth Factory: 21st century industrial strategy for the UK. May 2012. Online article no longer available. Financial Times – registration is required. Online article no longer available. Grantham seminar | Prof. John A. Mathews: "Greening of industry: China’s green development model as driver"
The fifth carbon budget: how will it affect the UK’s competitiveness? Grantham Workshop - Dimitri Zenghelis - "Path dependence, innovation and the economics of climate change"
Dimitri Zenghelis, Co-Head of Climate Policy at the Grantham Research Institute will be the speaker for this seminar. For a copy of Dimitri’s upcoming presentation please click here.